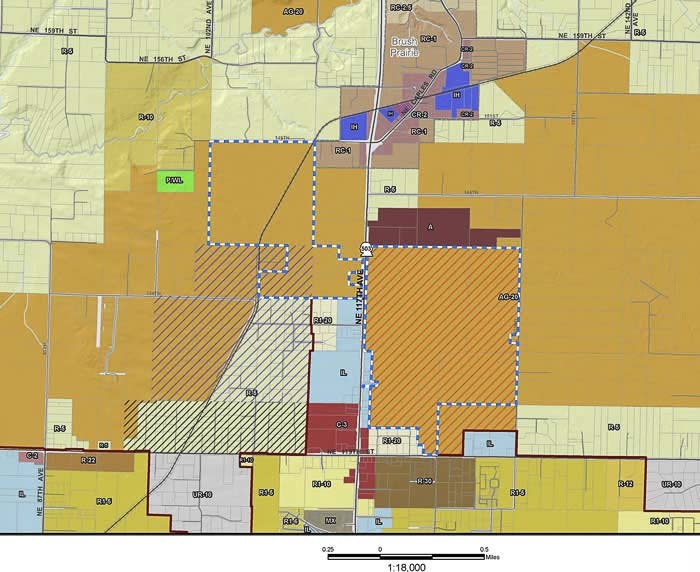 CLARK COUNTY — In the midst of an ongoing appeal over the county’s Comprehensive Growth Management Plan, the council decided to press pause on any development inside the Rural Industrial Land bank. The move comes amid a long-running legal fight over the comprehensive plan, which is required under the state’s Growth Management Act. The Growth Management Hearings Board ruled earlier this year that the county’s plan allows cities to improperly expand their borders through annexation, and has failed to address urban sprawl and protect farmland. 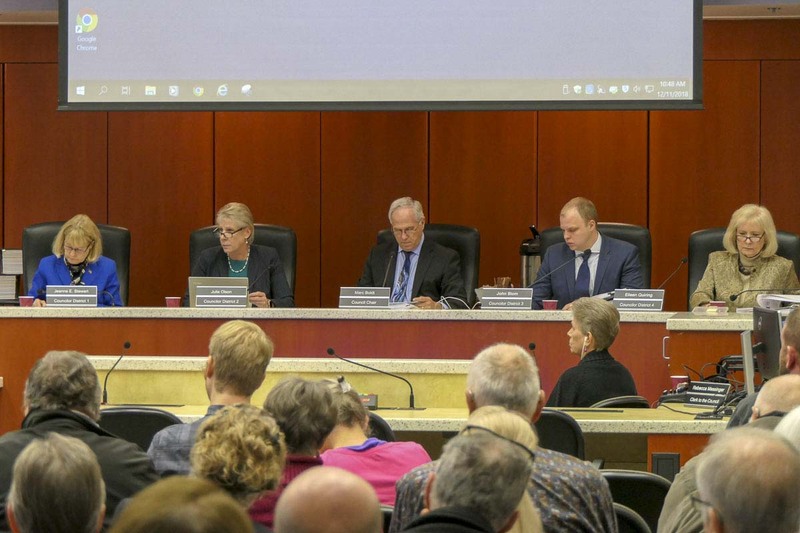 Instead, the council decided to pass a moratorium at their most recent meeting, banning any projects within the Rural Industrial Land Bank, two parcels of land totaling 600 acres along SR-503 south of Brush Prairie. “That is certainly less of a surrender than repealing the Land Bank,” said Cook. The move comes as part of a long running legal battle over the county’s 2016 comprehensive growth plan. Friends of Clark County and Futurewise, a land-use advocacy group in Seattle, sued, arguing the county had failed to protect farmland. Last year, the council voted to change several aspects of the growth plan in an effort to come in compliance with the hearings board’s ruling. The Land Bank ruling remains under appeal. There are currently no planned developments in the pipeline for the Rural Industrial Land Bank, and the county says they had no intention of moving ahead with any prior to a final ruling from the state. However, this move was seen as a way to convince the hearings board that the county won’t try to jump the gun. The resolution adopted at the council’s latest meeting was an emergency ordinance, and no public testimony was heard. “In order for it to remain in effect for more than 60 days, the county must come back, hold a hearing, take public testimony, and adopt findings,” said Cook.